A month before a class-action lawsuit over a 2014 chemical spill is set to go to trial, a federal judge has declined to throw out allegations that partly blame chemical maker Eastman Chemical for polluting 300,000 people's drinking water. The Charleston Gazette-Mail reports that U.S. District Judge John T. Copenhaver Jr. in Charleston also ruled Monday that residents, businesses and workers suing over the January 2014 Elk River spill and the subsequent water crisis cannot pursue claims against American Water Workers Company Inc., the parent of West Virginia American Water, whose customers' drinking water supply was contaminated in the incident. The lawsuit says Eastman Chemical didn't test its manufactured chemical properly or warn about potential health effects. Jury selection for the trial is scheduled to start Oct. 25. Source water protection plans are mandates water utilities are required to follow to keep drinking water safe. However, before 2014, following these plans in West Virginia was voluntary. Since the January 2014 Elk River chemical spill, though, legislation was put in place requiring about 125 water systems in the state to have these plans. The law also made what was already on the books much stronger. Friday, July 1 is the deadline for water and sewer utilities to submit their new plans to the state Bureau for Public Health. Liz McCormick has been following this story and brings us a look into how two utilities – large and small – have been dealing with the new regulatory landscape. A federal judge is delaying the trial involving a lawsuit filed against a water company and a manufacturer that sold a chemical to a company involved in a massive spill in Charleston. The Charleston Gazette-Mail reports U.S. District Judge John Copenhaver told attorneys during a monthly status hearing last week he would need more time to review and rule on several motions. The trial had been scheduled to start July 12. 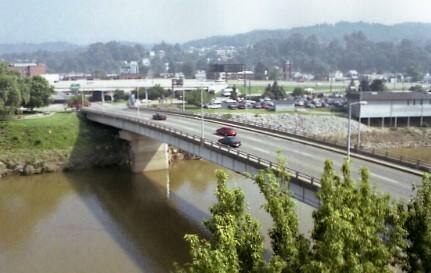 After a chemical spill in the Kanawha Valley left more than 300,000 people with contaminated drinking water for days, state lawmakers passed legislation in an effort to prevent a similar crisis. One part of that legislation requires most water utilities in the state to draft source water protection plans – with public input. West Virginia Public Broadcasting attended a public forum in Shepherdstown Thursday night aimed at educating the community about the plans.